The peripheral features enhanced circuitry for better analog to digital conversion, a digital encoder knob, and stereo output for direct headphone or speaker connections. A "Blend" button turns on low-latency monitoring, and an "Overdrive" mode is intended to make virtual amps and pedals feel more realistic. The Jam+ supports 24-bit, 96-kilohertz recording, and comes bundled with Lightning, USB-A, and USB-C cables. 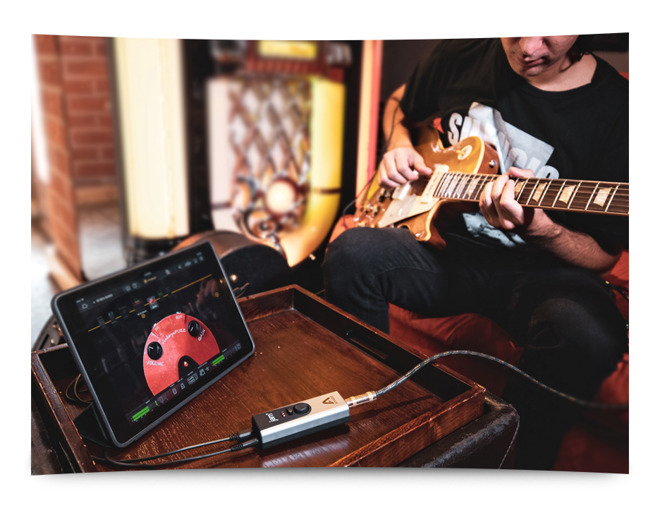 It also comes with Positive Grid's BIAS JAM FX software for Mac and Windows, which includes 3 amps, 6 effects, and an assortment of "essential" pedals. The original Jam dates back to 2010, and is still on sale. The Jam+ is launching today at a cost of $159. It's available from Apogee and a number of third-party retailers, including Apple retail stores.